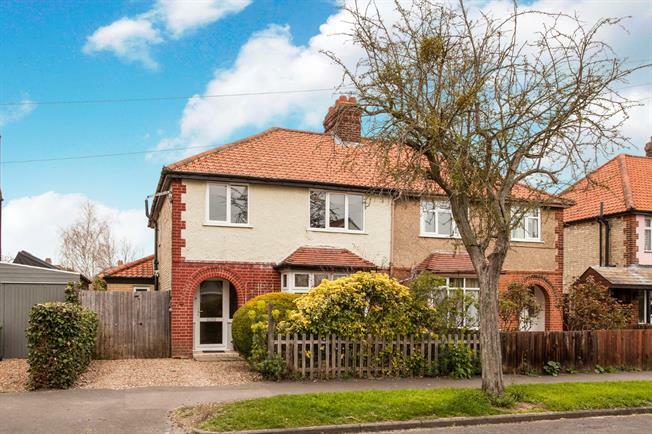 3 Bedroom Semi Detached House For Sale in Cambridge for Guide Price £625,000. An extended, versatile three bedroom semi-detached home available in sought after Leys Avenue. The property features an entrance hall, leading to a large, open plan kitchen/dining room with wood flooring, Velux windows and French doors opening out onto the garden. There is also a separate living room, utility room and WC leading from the main family space. Upstairs, there are three good sized bedrooms, two of which are doubles as well as a family bathroom with a shower over the bath. Outside there is an additional room that can be used as an office space or studio. The mature rear garden is mainly laid to lawn and the property comes with driveway parking.